College is expensive and paying for it is no small feat. Families from all sorts of economic backgrounds hope to get some help with college costs but are often disappointed with the aid they receive or the lack thereof. But, the truth is almost any family can get financial aid regardless of income and assets when you know where to look. 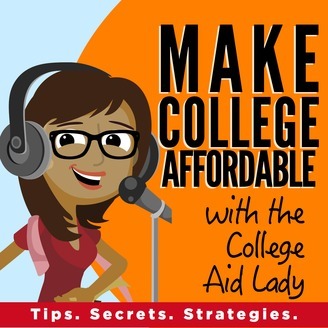 If you need or want money for college, you will want to listen to this podcast. Stephanie Hancock CFP(R) , an experienced college financial aid consultant, will review with listeners how to identify where they have the best chances of getting financial aid, how financial aid works, ways to manage the aid application process and more. Expect lectures, interviews, case studies and commentary. 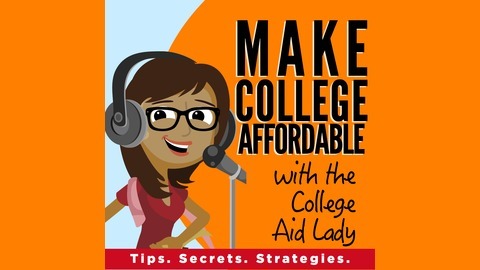 Head to www.collegeaidlady.com for notes from the show and to subscribe to updates. You know you need to apply for financial aid, but do you even know what to do or where to start? Probably not, if a national study is right. We'll listen to this episode and by the end you'll have a big picture overview of the entire process, you'll know the timeline for applying for financial aid, what changes affecting FAFSA and potentially aid awards and an important tip that too many people ignore at great cost to their student. We hope you'll listen in. Your time won't be wasted.